In a recent survey (link) released by the Pew Research Center for the People & the Press, Latinos were shown to be less likely to participate in the Census than other groups. The group says that in the past, under-counts of Latinos have led to California and its economy losing billions of dollars. In Sacramento, an under-count could mean the loss of tens of millions of dollars for education, business, public safety, and health care services. Rodriguez says the loss is particularly profound when it comes to funding for programs aimed at English learners. Contrary to what some may believe, the Census Bureau by law cannot share census answers with anyone, including the IRS, FBI, CIA or any other government agency. This is a message Rodriguez hopes everyone hears so they will participate in the Census regardless of their status. The U.S. Census form has ten questions and answers that help determine how more than $400 billion will be allocated to each community for things like hospitals, bridges, schools, and emergency services. It also helps determine the number of seats each state has in the U.S. House of Representatives. 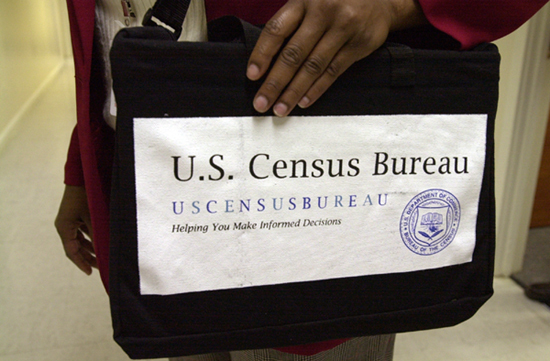 Here is a link to the questions that will be on the Census. I used to be terribly happy to search out this site.I wanted to thanks for this great read!! I undoubtedly enjoying every very little bit of it and I have you bookmarked to check out new stuff you post.